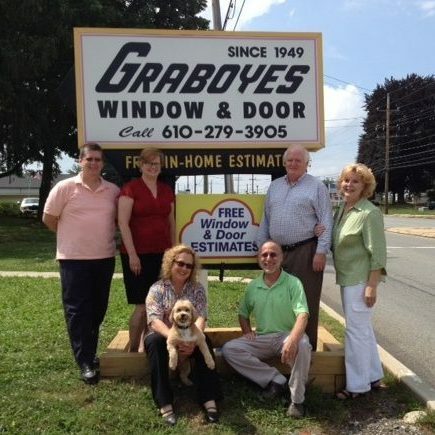 Graboyes provides expert window installation services for southeastern PA.
Our new and replacement windows are aesthetically pleasing and are available for excellent prices, but it’s our expert installation services that provide energy efficiency and maximum value. Please call us at (610) 279-3905 or complete the FREE QUOTE form. At Graboyes Window & Door, we don’t consider a job finished until installation is completed to your satisfaction. Once you choose your windows, we will guide you through every step of measuring, ordering, customizing and scheduling the window installation. Graboyes will install your windows expertly and efficiently and provide ongoing service. We look forward to fulfilling all your window needs!